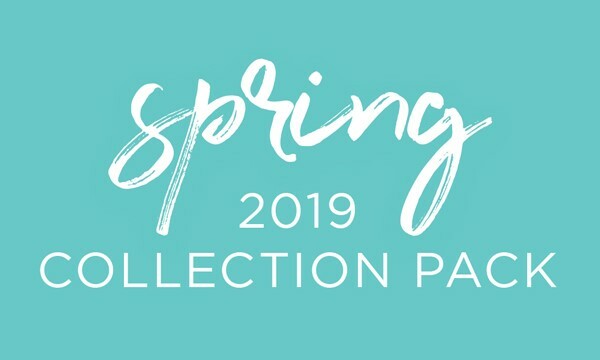 You have a chance to purchase a Spring 2019 Collection Pack! Please note, any Pack purchased by a Designer starting today, January 29 will not begin shipping until Friday, February 1, regardless of shipping method chosen. Packs purchased by Designers who achieved our Spring Into 2019 promotion will ship first. Qualifiers who purchase packs before January 31 will still include free standard shipping and the exclusive, Valentine’s Day Vintage Mystery Pack valued at $50 USD | $61 CAD. Qualifiers received a reminder to take advantage of their perks yesterday. How to Purchase: Log in to your Back Office and select Shop > Spring Pack and TOM Pre-Sale by January 31 at 11:59 p.m. CT. Note: The Spring Pack and TOM Pre-sale can be accessed as many times as you’d like. Business Supply Order shipping rates will apply to the Spring Pack and TOM Pre-sale. Spring Packs and TOMs purchased in the Spring Pack and TOM Pre-Sale will ship to arrive on, or after, February 2 (regardless of the shipping method you select). If you’re ready to make spring one of your strongest seasons yet, be prepared and get a Spring 2019 Pack! You’ll be one of the first Designers to have the pieces on-hand for your upcoming Jewelry Bars® and events.